At VLA, providing and increasing access to legal services for our clients is at the core of everything that we do: access gives people a chance to shift the power imbalance and stand up to those seeking to deny them their rights and diminish the quality of their lives. 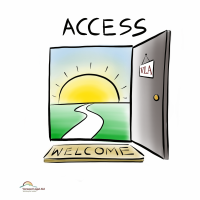 We are committed to minimizing the barriers and impediments confronting anyone seeking help from VLA. 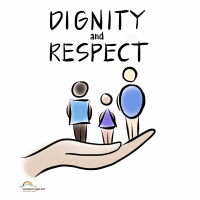 At VLA, we acknowledge our clients’ worth and treat each person who comes to VLA as a person deserving of compassion and respect. We value their time, and recognize and validate their desires and their identity. We are committed to treating them with dignity and high regard and to compelling other institutions to make the same commitment. Equally, we are pledged to treat our co-workers with that same respect and agree to hold each other accountable for creating and maintaining that kind of organization. At VLA, the goal is not merely to be an advocate, but also to help people to know how to advocate for themselves; this means helping clients take back some power in their lives and helping all those who seek our assistance to participate in their own lives and direct their own outcomes. 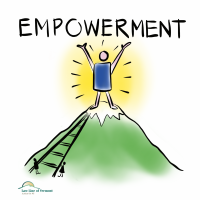 Empowerment also means providing staff with the support and the tools to be more effective advocates. At VLA, we are committed to maximizing the outcomes of our efforts. While our work often changes the course of an individual’s life, we must ensure that we also have a meaningful effect on the community as a whole. 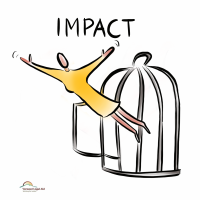 We will use all of the tools available to us to achieve systemic reform and institutional change. The work we do must change people’s lives for the better. At VLA, the pursuit of justice is the moral compass that guides our work. We are committed to equity and fairness in all of our work and in our organization. 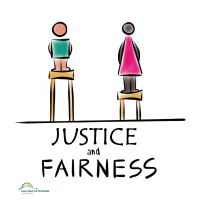 It is an integral part of our mission to work for justice on behalf of vulnerable Vermonters and to work towards a more just society.